The 5th Edition of the ET Rural Strategy Summit 2017 will be held on 7th & 8th December 2017 in New Delhi, where leading stakeholders and experts will discuss the challenges advances & surging aspirations that influence successful rural strategies. ForPressRelease.com has joined the event as a Media Partner. New Delhi, December 04, 2017 -- India’s rural market is estimated to cross the US$ 100 billion mark by 2025. This emphasizes upon adopting new marketing strategies and giving more attention to the nation’s sprawling hinterland. India’s marketers need to develop cutting insights to understand the psyche of rural consumers to explore this rural goldmine in the waiting. 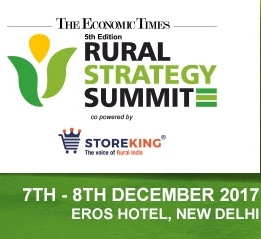 The 5th Edition of the ET Rural Strategy Summit 2017 in New Delhi will bring together leaders, marketers, and all other stakeholders to deliberate upon creating successful rural strategies. Marketers will learn how to better cater to the rural consumers across the length and breadth of this vast country. The summit will demystify the market dynamics of the rural markets to explore the significant opportunities that are yet to be unearthed. The Summit coincides with the timing when a lot of happening on the rural front. The Govt. of India is to install Wi-Fi hotspots in over 1,000 gram panchayats throughout the country under its Digital Village project. The government is also aiming to achieve 100% electrification in villages by May 1, 2018. NABARD is also planning to set up more than 2 lacs of Point-of-Sale (PoS) machines in the rural areas and will distribute over 34 million RuPay cards to Indian farmers. To get the complete list of speakers or to know more about The 5th Edition of the ET Rural Strategy Summit 2017, one can visit the website http://et-rss.com/. ET Rural Strategy Summit has been influencing rural strategies across the Indian spectrum for half a decade. 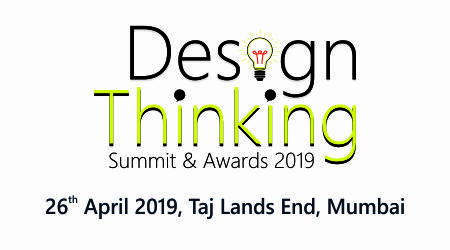 The Summit will focus on solutions to some of the critical challenges faced by organizations while penetrating into Tier 2 & Tier 3 cities and the rural areas of the country. ForPressRelease.com is the leading press release distribution site in India with a huge traffic pool and around 50,000 registered users who regularly posts their news and story for creating a mass awareness. With a daily visitor of over 70,000, the website is very popular among business people, PR and marketing professionals, journalists and others.